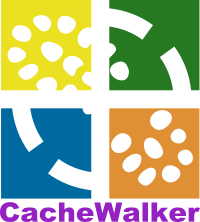 CacheWalker - for those who love geocaching and walking. Want to find out more? Check out our About and FAQ pages! So, what are you waiting for?! Register TODAY! For talking about anything caching-related which has no specific board of its own! Talk about Geocaching Events here! Chat about the upcoming CacheWalker events, too! Congratulate your fellow CacheWalkers on their milestone achievements, or anything else! Got something to sell? Know a good supplier? Need some help with paperless Caching? Post on this board! Share your 'field' and tech tips here, as well as any caching resources! A place for new members to introduce themselves, and for us all to say Hi! An Area of Outstanding Caching - a board to discuss geocaching in the Cotswolds. Old threads that are no longer needed in the main forum, and are left here locked for your reference.